186 pages | 1 B/W Illus. 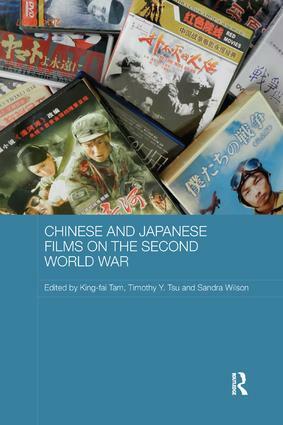 This book examines representations of the Second World War in postwar Chinese and Japanese cinema. Drawing on a wide range of scholarly disciplines, and analysing a wide range of films, it demonstrates the potential of war movies for understanding contemporary China and Japan. It shows how the war is remembered in both countries, including the demonisation of Japanese soldiers in postwar socialist-era Chinese movies, and the pervasive sense of victimhood in Japanese memories of the war. However, it also shows how some Chinese directors were experimenting with alternatives interpretations of the war from as early as the 1950s, and how, despite the "resurgence of nationalism" in japan since the 1980s, the production of Japanese movies critical of the war has continued. King-fai Tam is an Associate Professor in the Department of Chinese Culture at Hong Kong Polytechnic University, Hong Kong, China. Timothy Y. Tsu is a Professor in the School of International Studies at Kwansei Gaukuin University, Japan. Sandra Wilson is a Professor in the School of Arts and a Fellow of the Asia Research Centre at Murdoch University, Australia.